Here’s a little secret… Captain Frank is a bit of a mummy’s boy (there’s nothing wrong with that), so with Mother’s Day just around the corner, it’s time to celebrate Mum like never before! We’ve been shopping to find some of the best gift ideas for mum… Of course they all have a little nautical inspiration, and had to get the tick of approval by Captain Frank. So why not indulge mum in a little nautical love!! We’ve selected some top picks and ideas to make mum’s day!! 1. Personalised Nautical Wine Glasses – We all know how hard mum works, so at the end of the day that glass of wine seems well-deserved. With these personalised Nautical Wine Glasses, mum can sip her favourite chilled wine in a coastal-inspired engraved wine glass. 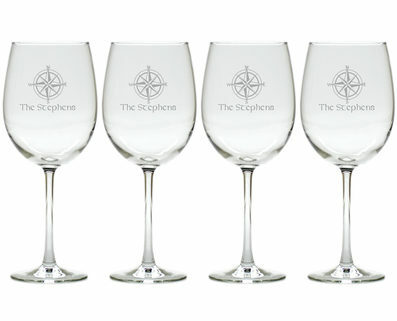 Personalise a set of 4 glasses with some engraving and mum will feel like she is sailing an endless ocean next time she sits down to indulge in her favourite wine. Don’t forget to include her favourite bottle for that added special touch! 2. Sea of Love Message in a Bottle – Remembering it’s the thought that counts shower mum in a sea of loving words! Send your personal special message in a bottle to create something unique and sentimental for mum. This unique gift is truly from the heart and your personal message can be printed, rolled into a scroll and placed inside a bottle of sand. It will truly emulate a feeling of a “bottle washed ashore” and will be a gift mum will cherish for a lifetime. 3. 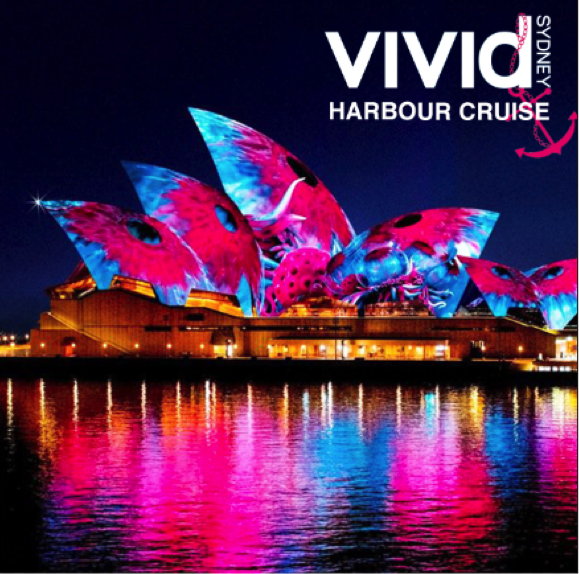 Experience Vivid on Sydney Harbour – For the mum who loves an experience, it’s all about spending quality time with family and friends – a harbour cruise to take in the Sydney sights and the lights of Vivid Sydney could be just the perfect gift idea! Select a night to visit the Vivid Sydney festival, which commences late May and runs to mid June, and enjoy the water together with the beautiful light display. Share an intimate cruising experience with mum aboard a beautiful catamaran and make your night even more special by stopping off for n indulgent dinner before boarding the vessel. 4. Nautical Fashion – For the mum who loves to be in style, consider a nautical fashion piece for her wardrobe or a beautiful accessory. Whether it be that sassy pair of shoes, a trendy nautical inspired jacket or something a bit more subtle with those timeless navy blue and white stripes, mum will sure be on trend when she heads out for the day. Start by browsing the catalogues of some her favourite fashion brands and no doubt you will soon come across a nautical inspired piece. It’s a staple item for those mums that love to be in style! 5. Summer Accessories – Does your mum love to be outdoors and get in the water? Spruce up her outdoor accessories and sporting equipment with some summer coastal inspiration and stock her up with those things that you know she uses and loves! Compile a beach towel and bag, some sunnies, a paddle or two and why not go big and purchase her that paddle board or kayak that you know she’s been eyeing for some time? It’ll be a great new hobby for her and will keep her fit, healthy and happy – who knows she may even let you borrow her new toy sometime! We hope that some of these nautical inspired gift ideas float your boat and appeal to you mum! Wishing all mums a very HAPPY MOTHER’S DAY! Melissa (a relative of Captain Frank) shares her views of Sydney upon returning for a visit after a few years of life overseas. Here’s her story! I arrived after a long separation – 9 months since we last met, and before that, we had parted for 12 months. My relationship with Sydney seems to be one of love and aversion: when I am here for too long, I wish to leave; and when I am away, I can only dream of my return. 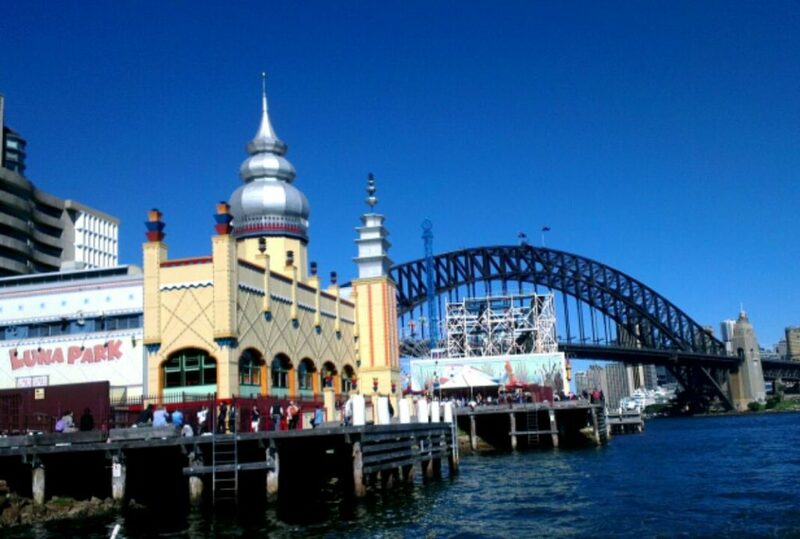 Though this time, there seems to be a new energy in the city of Sydney – within which I wish to indulge. Sydney is known around the world for its beauty: its landmark Harbour Bridge and Opera House, its warm golden beaches, and its friendly and down-to-earth Aussies. But after I return from living and working overseas for a while, I appreciate so much more: the skies here are so blue, the air is so clean, and the city re-development works underway are set to rival some of the best in the world. What has struck me particularly this time, is the public space that has been claimed back by the people and is free for Sydney siders and visitors to enjoy. 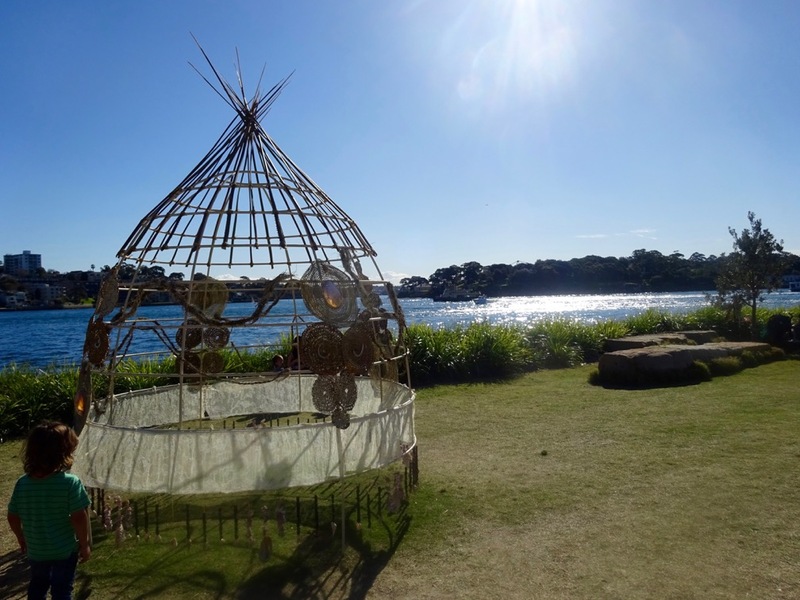 Barangaroo Reserve is a shining example of this – set by the beautiful harbour with spectacular urban skyline views, and with native gardens, cycle tracks and walk (or stroll) ways – this place is perfect for an afternoon picnic; and on my visit I was also lucky enough to experience some excellent open-air sculptural installations. 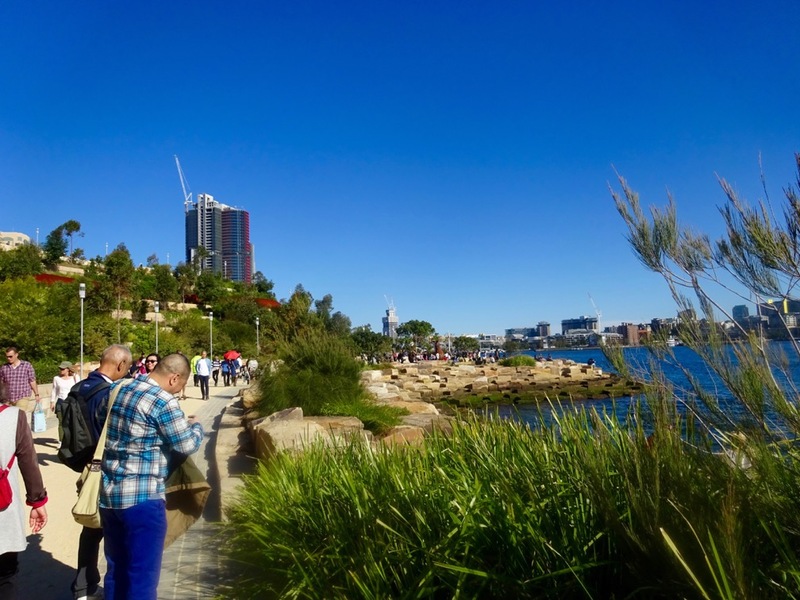 Other new sites in the heart of the city offer similar public experiences: Central Park Precinct at Ultimo and the Goods Line that connects Ultimo and Darling Harbour, for example. Amongst these new iconic points, I also wonder among contemporary architectural gems by world-renowned superstars: One Central Park at Ultimo designed by Jean Nouvel with PTW Architects; and the Dr Chau Chak Wing building at University of Technology by Frank Gehry. And set to come is the reimagined International Convention Centre at Darling Harbour by joint venture Hassell + Populous, and also DUO at Central Park by Foster and Partners. For the outdoor enthusiast, the design talent, the big city buzzer – Sydney truly offers it all. In my time overseas, I have been asked of my home city hundreds of times. When I proudly respond with the name Sydney, the reaction is often, “Ahh .. a dream city.” And indeed, Sydney is a dream city, my dream city. I encourage everyone to just lose themselves in its beauty at least once in their life. When I return next, as I fly in over the stunning Sydney Harbour, I will be looking forward to my further re-discovery of the city – perhaps this time on the water, with uninterrupted views of the beautiful harbour and cityscape.